We take Hospitality very seriously and our aim is to offer you an ultimate holiday experience. We would like to believe that you come as a guest, but you leave as a friend. We are very honoured that you trust us with your vacation. EinewunderbareOasemitWeitblick auf das Meer, jedes Detail in der WohnungistmitLiebeausgesucht. Marianthi'sFruehstueck war wunderbar und wirhabenesgenossen auf der Terrasse den Tag zubeginnen. NeaPeramosmitseinenTavernen und Bars istmitdem Auto in wenigenMinutenzuerreichen, wieauch der TraumstrandAmmolofy. 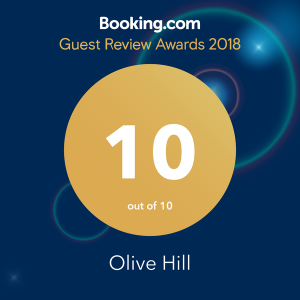 Olive hill ist super sauber! We had a wonderful stay in the tranquil,well-appointed hideaway in mainland Greece. The apartment was fresh clean and well equipped with lovely comfortable bed with crisp linen. Our hostess was generous with her advice and hospitality with very helpful local information. The rooms were cleaned daily and we were welcomed with freshly baked cake. 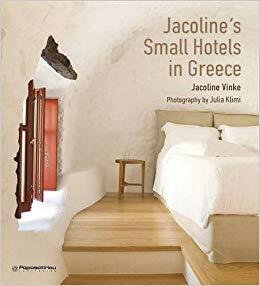 Probably the most wonderful property in Northern Greece. Very cute and responsive landlady with flawless English. The property itself immaculate clean with stunning view over the valley and the Sea. You get everything you need in the kitchen. There was a complementary bottle of white wine. Also you get coffee machine and capsules for it, changed every two days. The toiletries are much better than the average hotels.